For information contact Michelle Machado at michellebmachado@hotmail.comor call 209.410-2557. Jorge de Sena School was began in 1985 by parents who wanted their children to attend Portuguese language classes. The first class was offered as a six week summer program in Livingston. There were approximately fifty students, first through sixth grade, and three volunteer teachers. 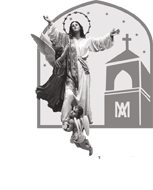 The following year the summer classes were moved to Our Lady of the Assumption Hall in Turlock. Eventually the classes were changed to Monday nights from 5:30 until 7:30 and were offered from September until the end of May. As the Portuguese language school grew, parents started a fundraiser to help buy supplies for the school and compensate the teachers. 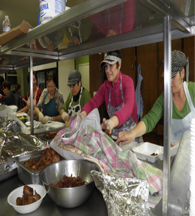 The fundraiser is held every year in January and it consists of a Matança dinner, where many traditional Portuguese foods are served. Currently there are seven certificated teachers who teach over 100 students from Pre-K through sixth grade at Jorge de Sena School. The school also offers a Portuguese language class for adults. Many of the students who attend Jorge de Sena School are of Portuguese descent, but there are also children whose parents just want them exposed to a new language and culture.